A drone prepares to drop a life preserver to a person drowning in Chile. 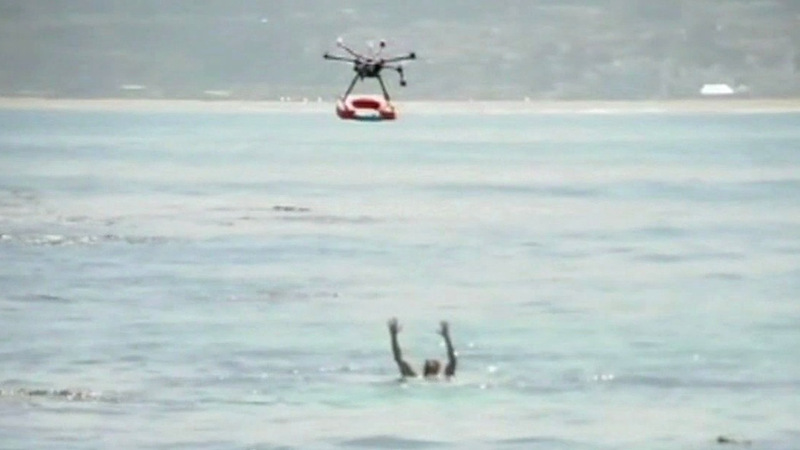 In Chile, drones are being used to help lifeguards on busy beaches save people from drowning. The drones are controlled from the beach and outfitted with a float, camera, microphone, and speaker. Drones can get to the swimmers quicker and drop a life preserver so the person can hang on until help arrives.